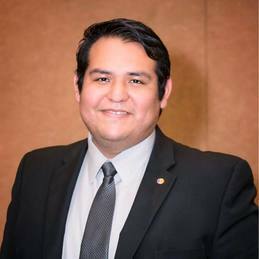 OKLAHOMA CITY (Feb. 19, 2018) – In a key hire, State Superintendent of Public Instruction Joy Hofmeister has announced that Julian Guerrero Jr. will serve as executive director for American Indian Education at the Oklahoma State Department of Education (OSDE). In his new position, Guerrero will work to further the educational opportunities of American Indian students in Oklahoma while facilitating collaboration among Oklahoma’s tribal nations, school districts and educators. Guerrero will also work to foster or strengthen relationships between educators and tribal nations to increase academic success for all students and deepen Native cultural understanding within school communities. A citizen of the Comanche Nation, Guerrero previously served as Associate Director of the Tribal Education Departments National Assembly (TEDNA), an Oklahoma City-based nonprofit that provides resources and assistance to tribal education departments across the nation. He is a graduate of the University of Oklahoma. Oklahoma public schools serve more than 130,000 Native American schoolchildren benefitting from Title 6 grants, the highest in the nation. Guerrero begins his new role Feb. 26.